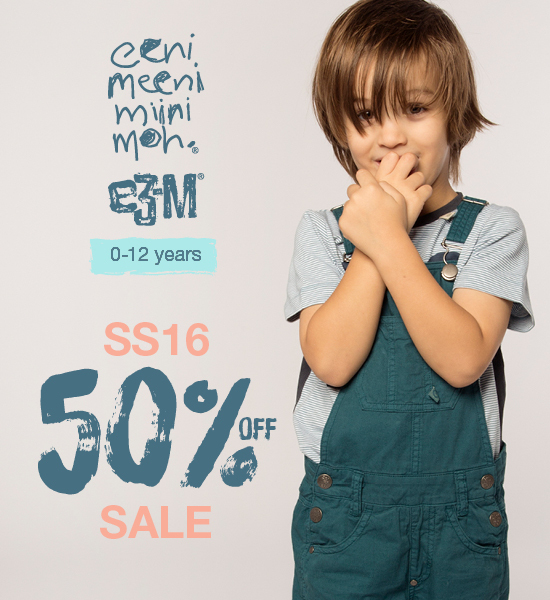 For one week only, eeni meeni miini moh and e3-M are offering 50% reductions on all SS16 clothes for kids 0-12 years. 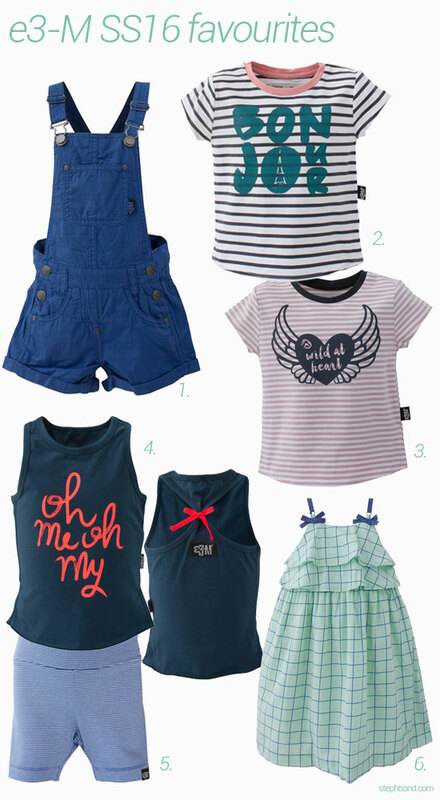 These are seriously quality clothes that your children will reach for all the time; a great combination of style and comfort that makes them super-wearable. I think it's always interesting to see which pieces people actually have in their shopping cart, that their children wear (as opposed to those we wish our children would wear). These are the e3-M clothes that our girls (seven and nine years) have had so much use from this summer, all heavily discounted until 21st February 2017. See more of my favourite looks from this season here. You can find all these and more from the SS16 collection of eeni meeni miini moh and e3-M in the online store and Brisbane stores. Offer to be used on eeni meeni miini moh® / e3-M® Spring Summer 16 branded products only. Offer excludes Autumn Winter 17, PURE newborn, La Petite, toys, bibs, pyjamas, nighties, underwear, hats and freight. Offer does not apply to previous purchases, lay-bys or the purchase of gift vouchers. Offer cannot be used in conjunction with any other offer or promotion (including vouchers/loyalty points/promotions). Sale items are not eligible for returns/exchanges/refunds. Loyalty points cannot be earned or redeemed during sale/promotional periods. Offer available from the eeni meeni miini moh® / e3-M® online store and Bowen Hills store only. Prices as marked online. Offer ends 11.59pm (BNE Time) 21/2/17. Stock is limited on some products – offer available while stocks last.